20% OFF OUR ADVERTISED PRICE FOR GROUPS OF 10 OR MORE CLICK HERE FOR PRICE LIST! * Must be 10 or more hiring customers, hiring at the same time. On arrival prior to hiring please inform us of your group OR pre-book to receive the group rate. If ski/snowboard racks are required they must be booked. ** Must be 20 or more hiring customers, hiring at the same time. Why hire in Cooma? With the extreme weather conditions in the Snowy Mountains, it is advisable to outfit your students/groups before arriving in the snow. 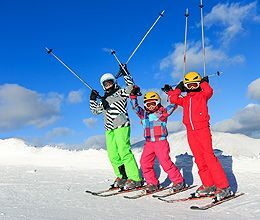 The Ski Co has fitted out large school and social groups for over 25 years, our reputation for excellent service is second to none. We have a purpose built ski hire facility, with a unique double hire system designed to outfit up to four coach groups simultaneously, reducing the time to collect equipment. We have a reputation for good quality clothing and equipment, plus qualified friendly staff. Packages available for skiing, boarding and snow play. Large range of budget priced accessories, hats, gloves, goggles etc. Purpose built group hire able to equip 200+ customers at the same time. 50 customers in 20 mins for Fun Packs and 50 mins for Skier/Snowboarder Packs. Our experienced and friendly staff will make the pickup and return of snow equipment both enjoyable and easy, after all, they love the snow too!